Above: The waterfront in Portland. Above: The Ocean Gateway Terminal. Below: Oceania Regatta at the Maine State Pier. 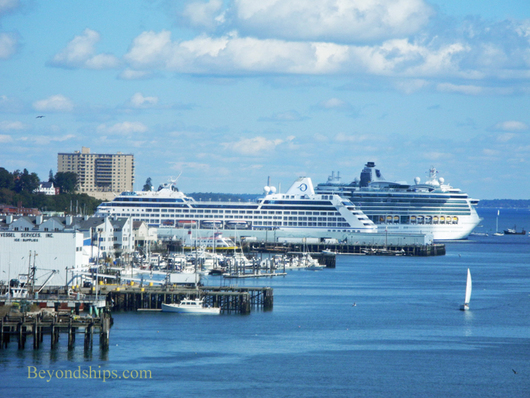 There are two locations where cruise ships dock in Portland. The good news is that they are both within walking distance of the popular Old Port district and of downtown Portland. 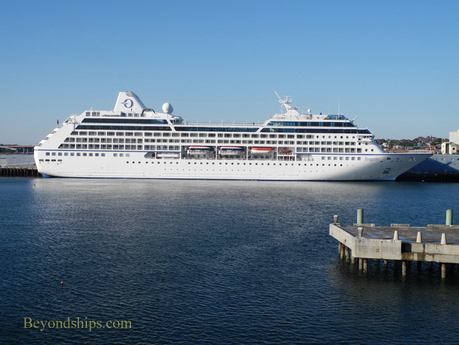 The Ocean Gateway Terminal is Portland's latest cruise ship facility. It consists of a $20.5 million terminal building that opened in 2008 and a deep-water floating pier that can handle large cruise ships. 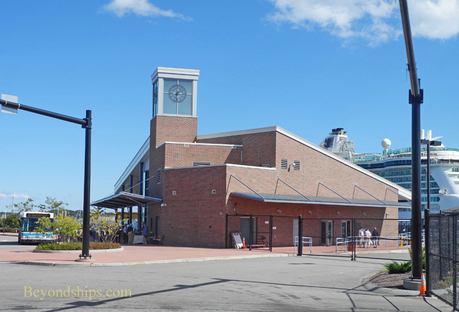 Just across the slip from the Ocean Gateway is the Maine State Pier, which can also handle cruise ships. Both facilities front upon Commercial Street. Make a left turn as you come out and you will be headed for the restaurants and shops of the Old Port. Make a right turn and you will find an esplanade, the narrow gauge railway and access to Fort Allen Park. 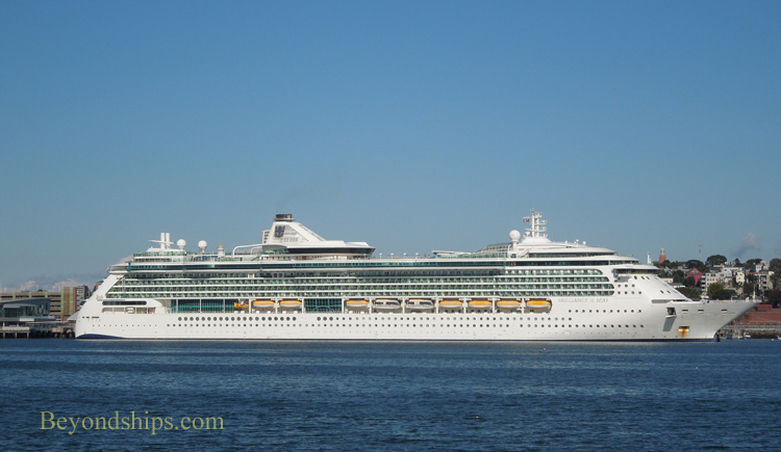 Right: Brilliance of the Seas at the Ocean Gateway Terminal.